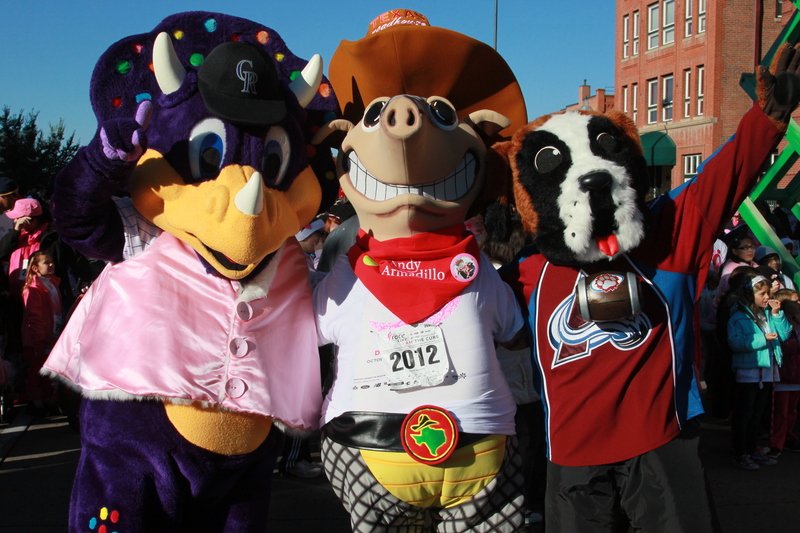 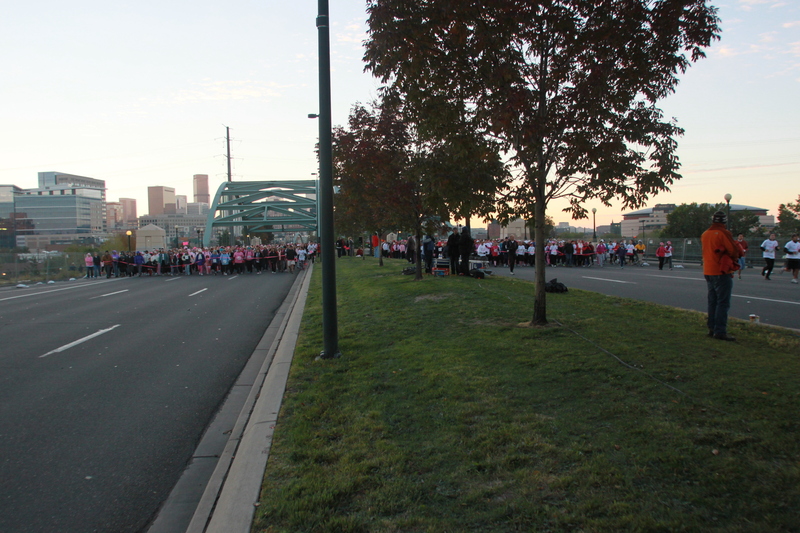 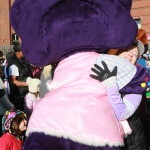 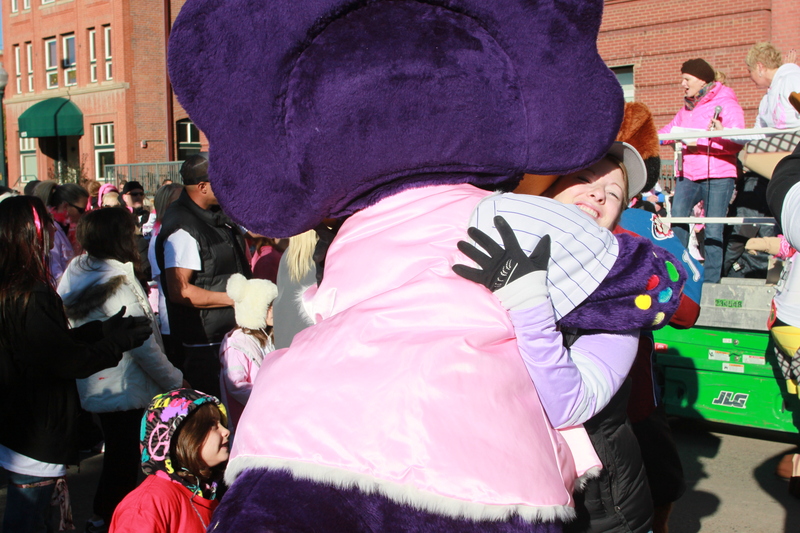 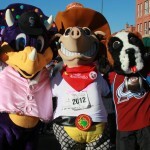 Now in it’s 20th Year, Susan G. Komen Race for the Cure teamed up with Entercom Denver for the 2012 Race for the Cure on Sunday, October 7th. 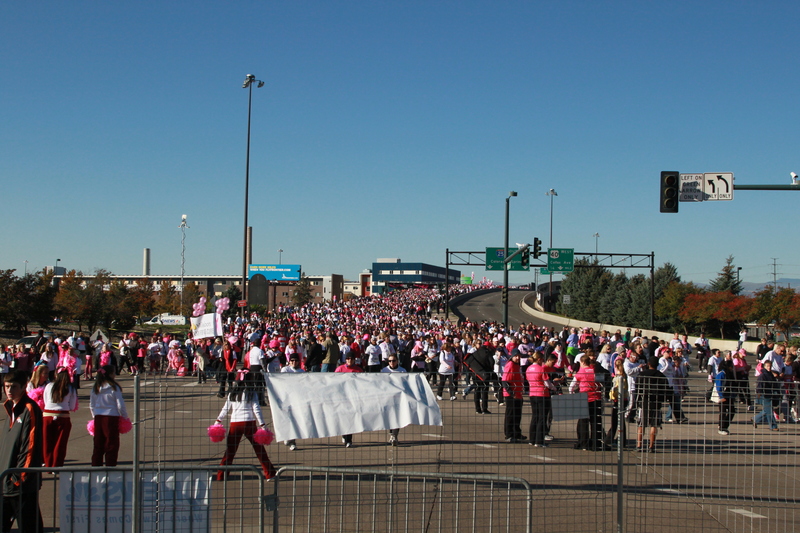 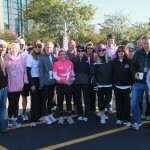 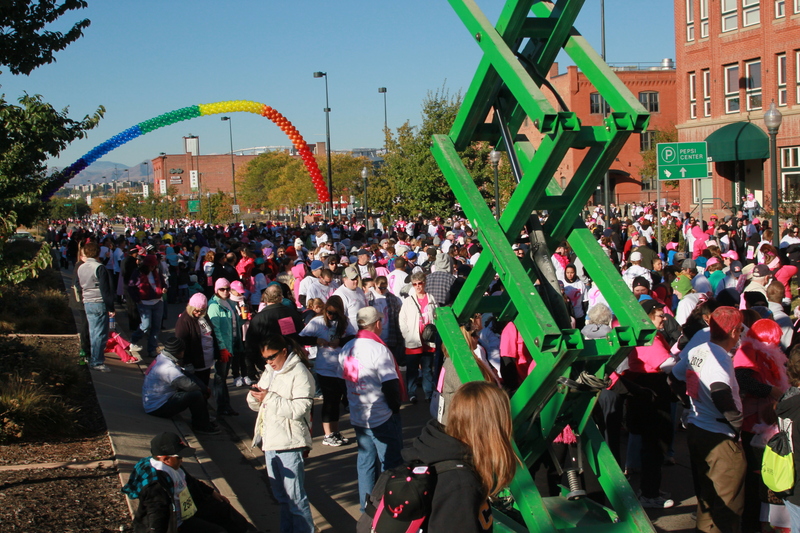 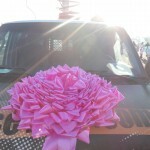 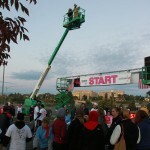 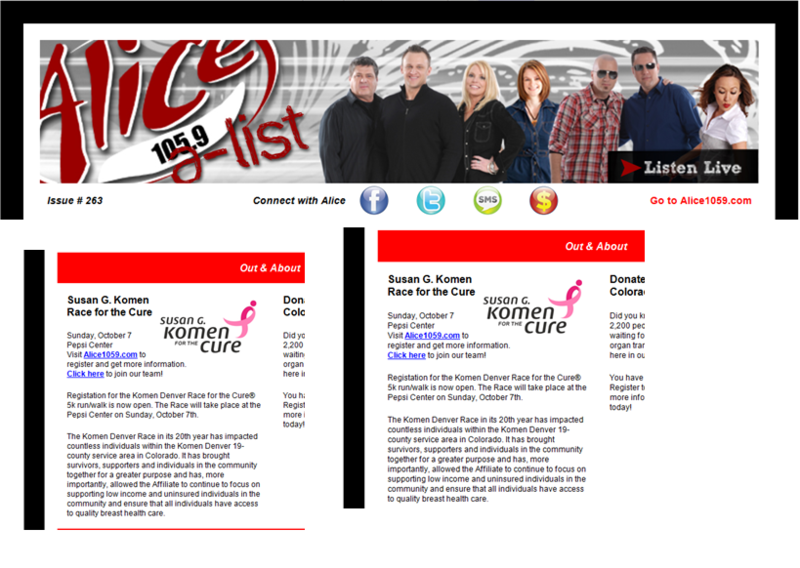 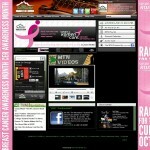 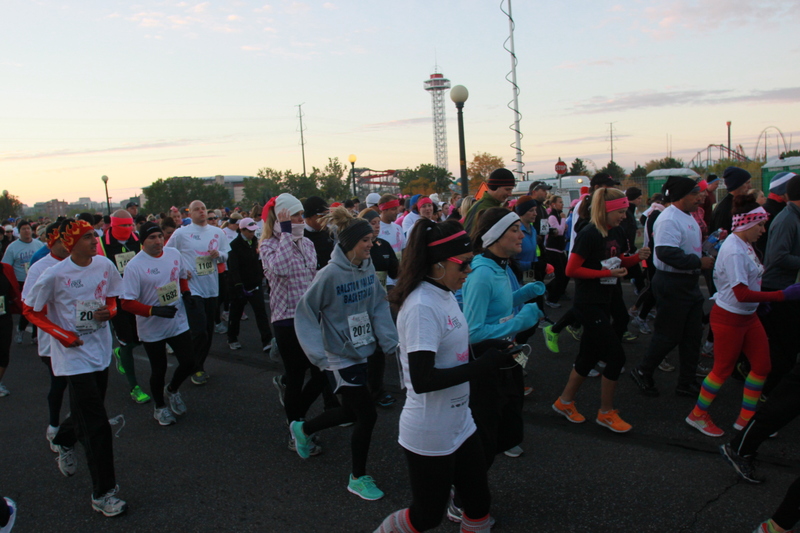 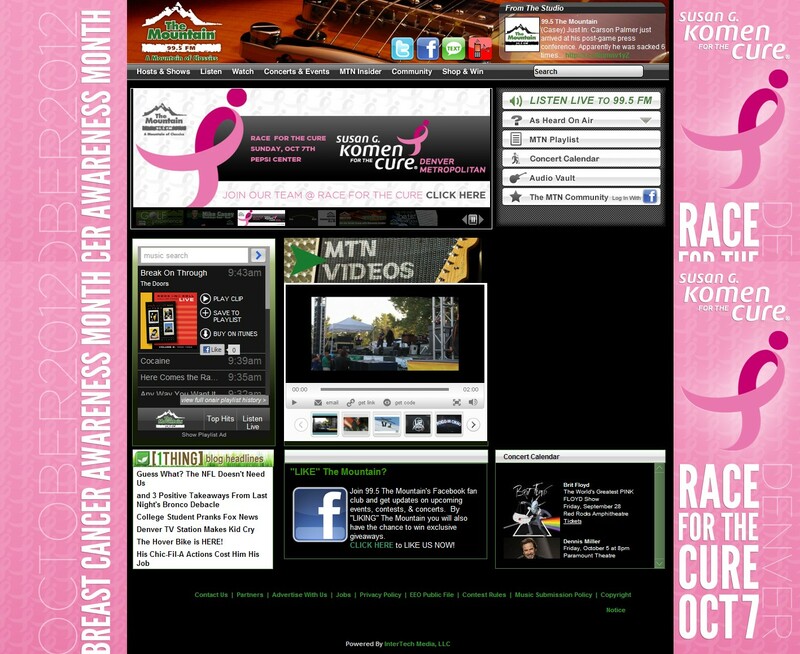 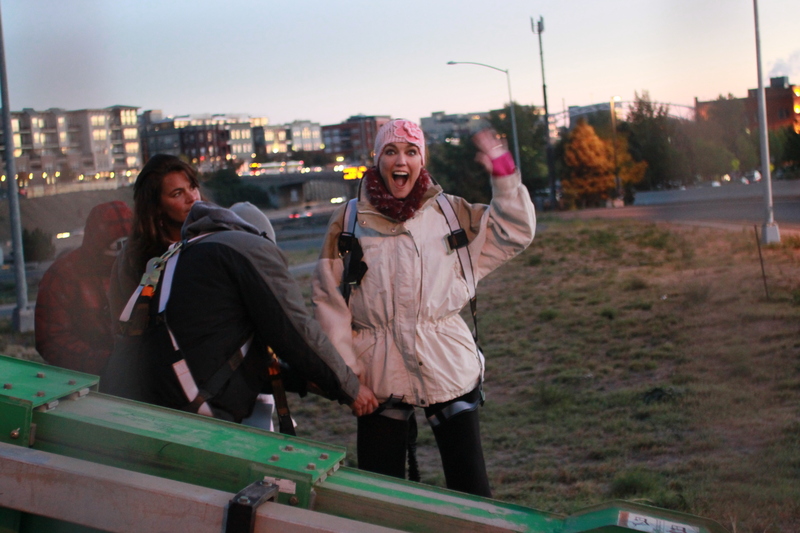 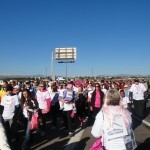 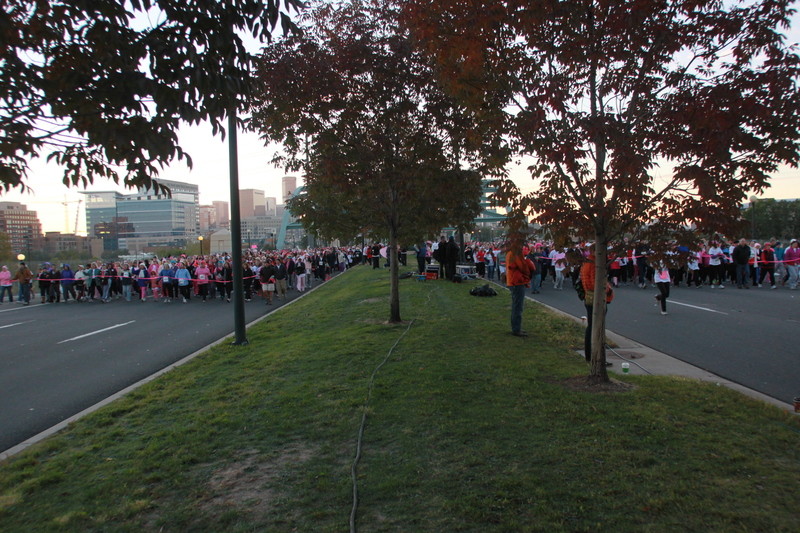 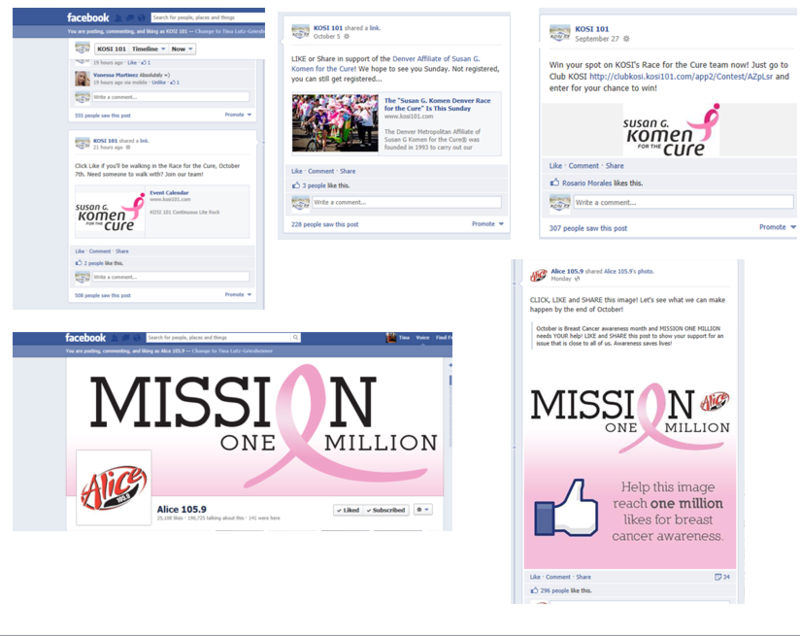 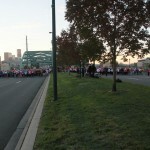 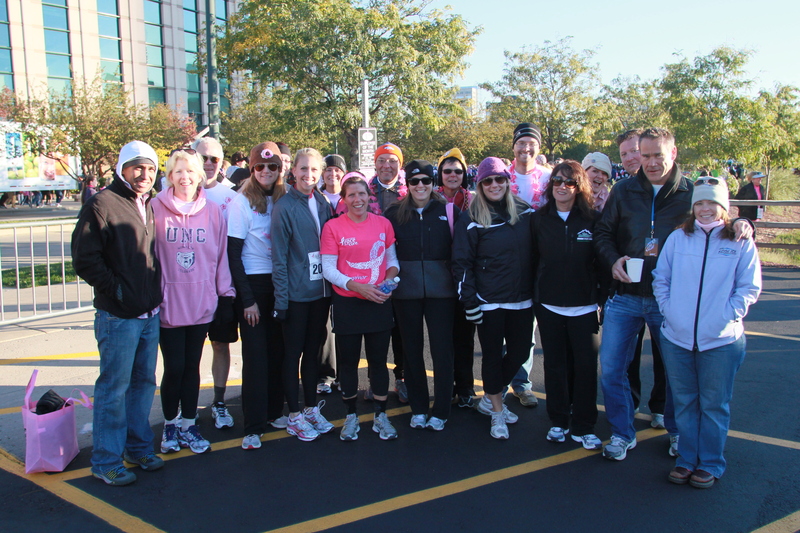 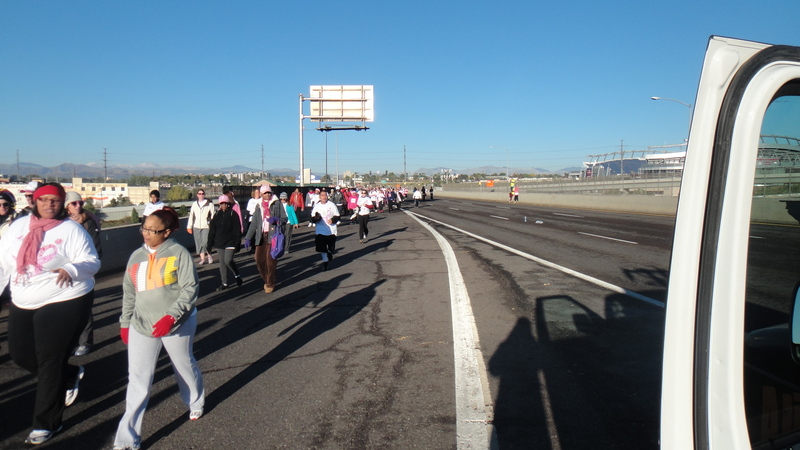 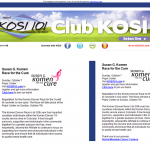 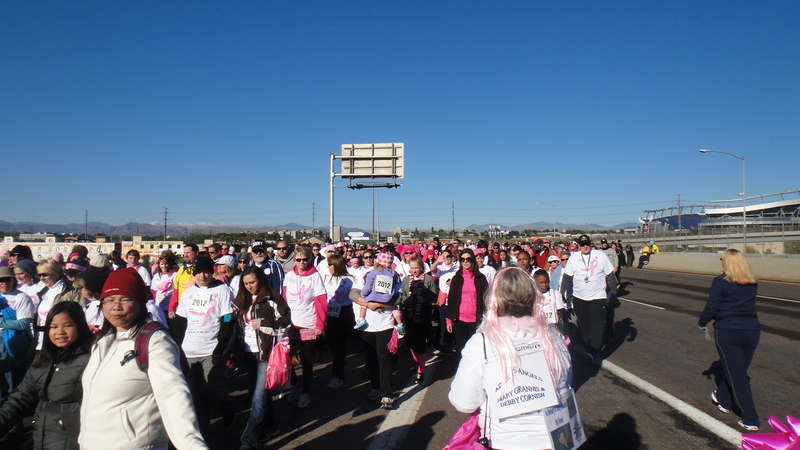 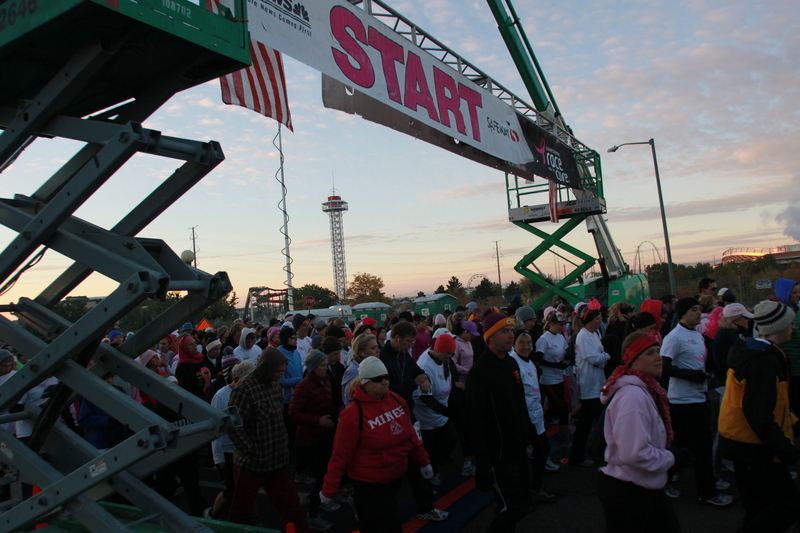 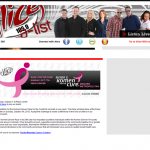 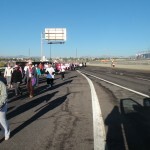 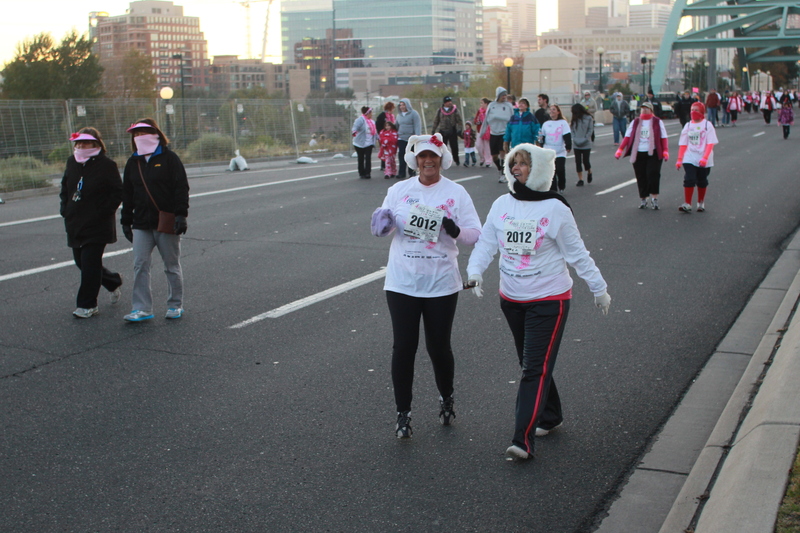 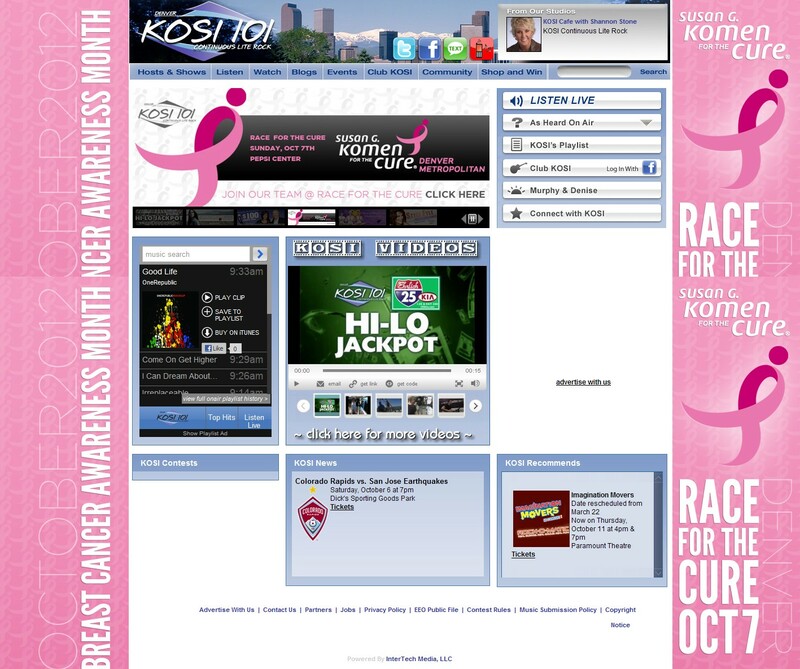 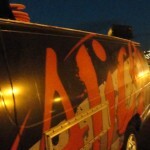 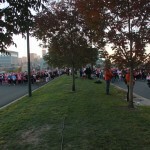 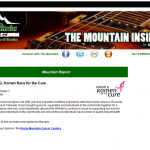 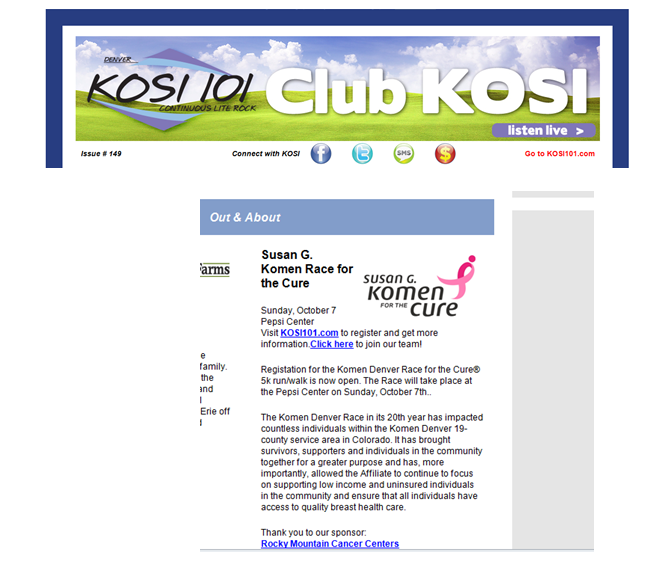 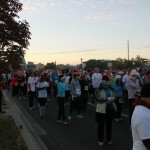 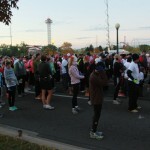 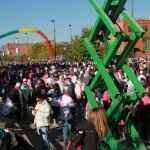 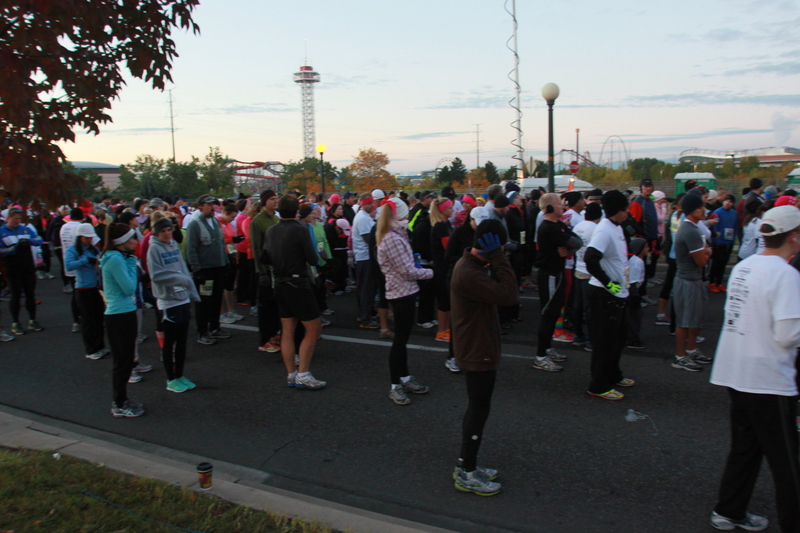 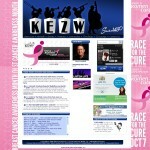 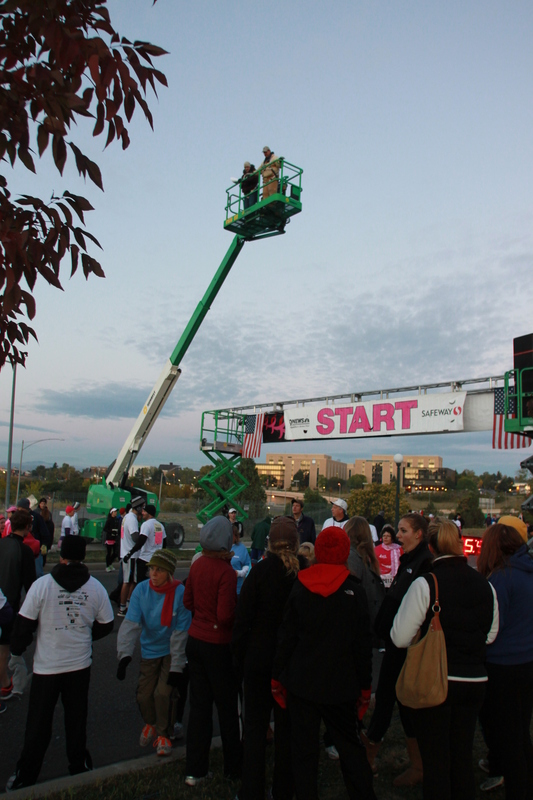 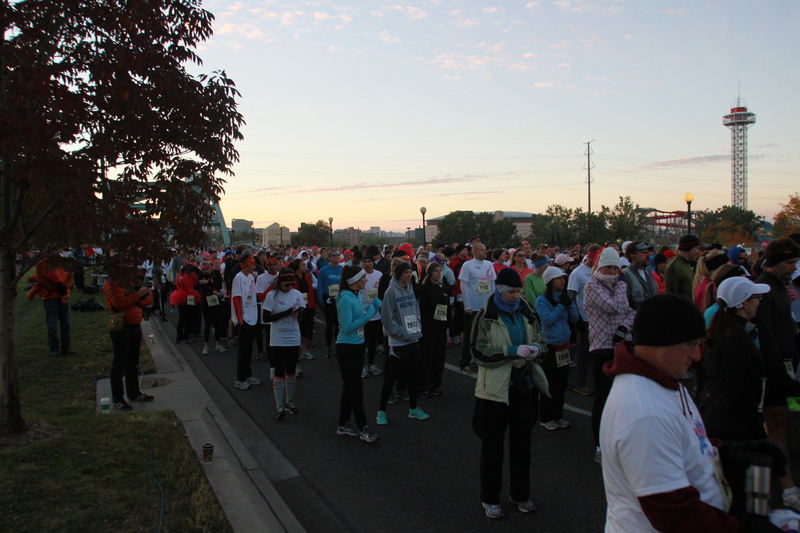 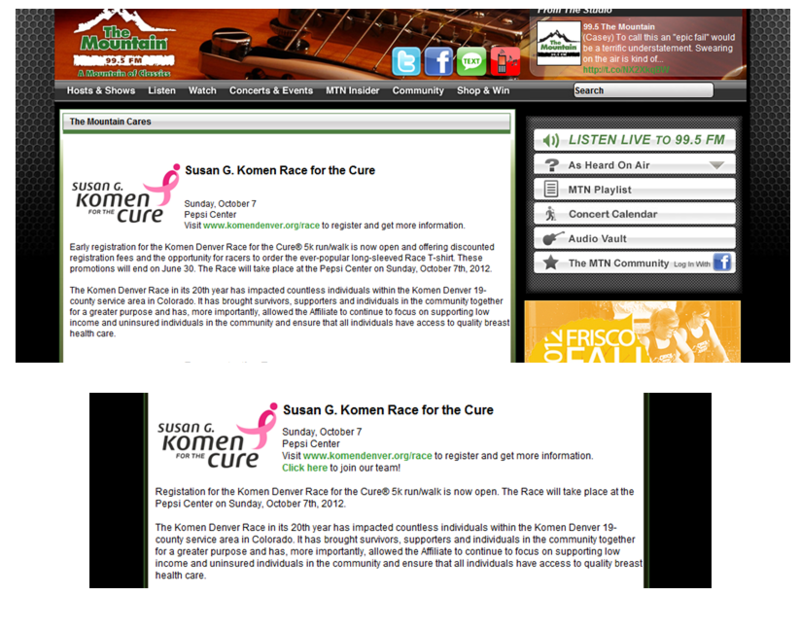 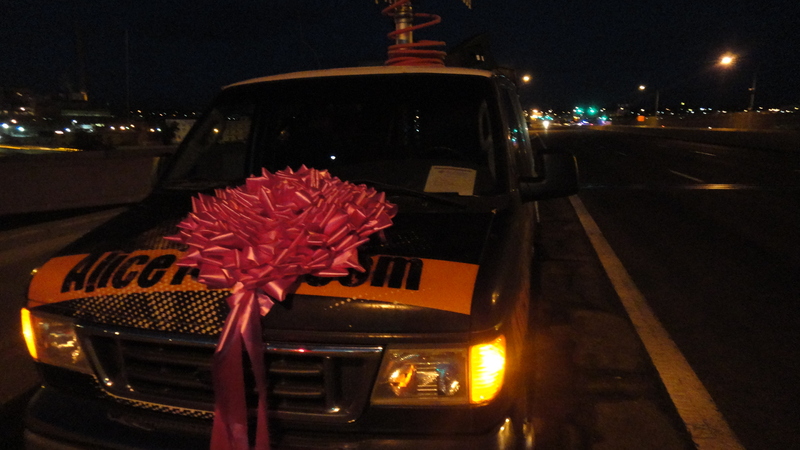 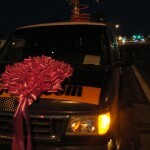 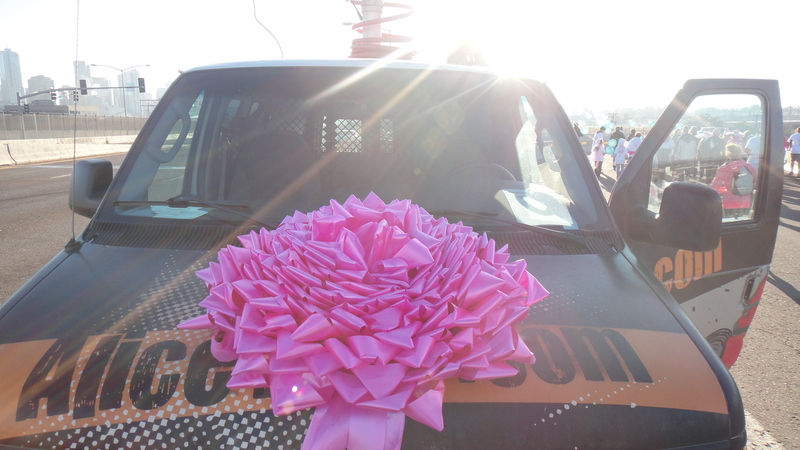 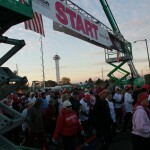 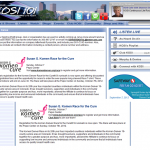 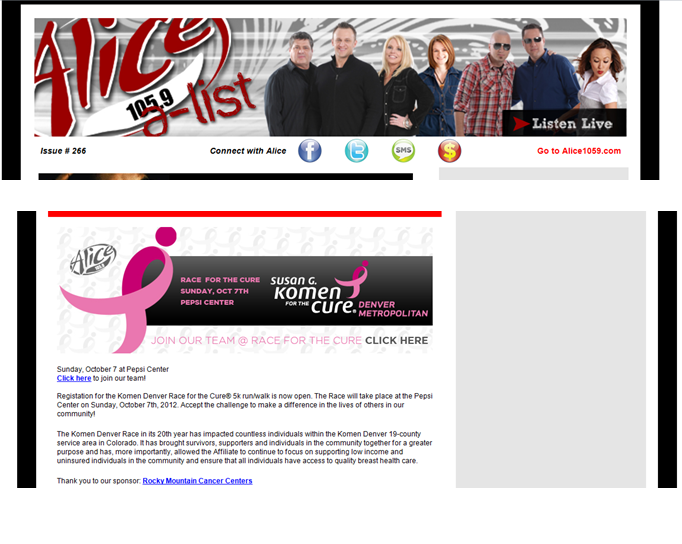 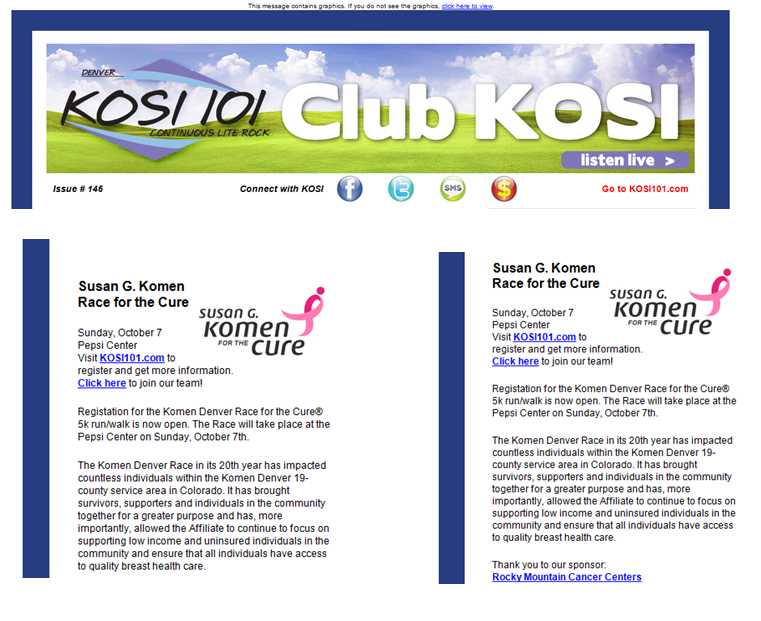 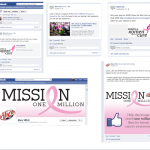 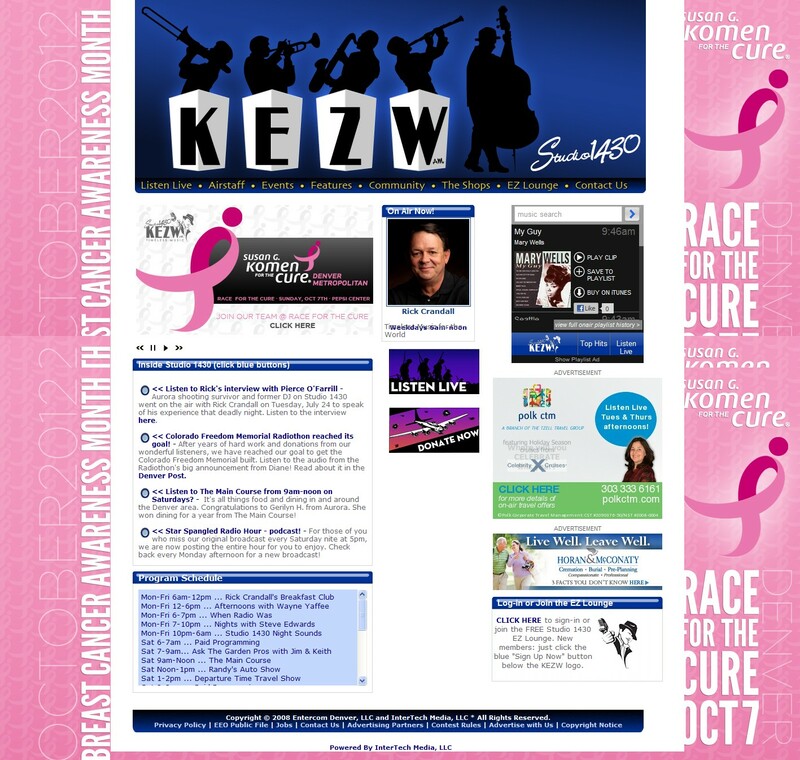 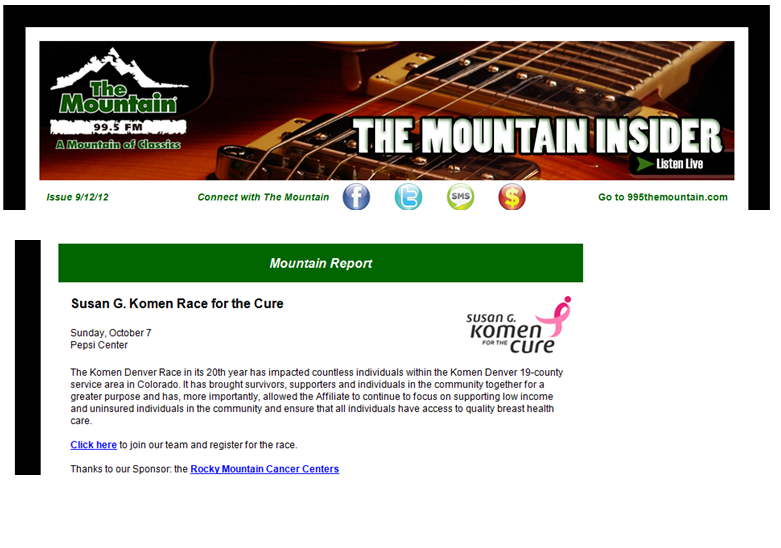 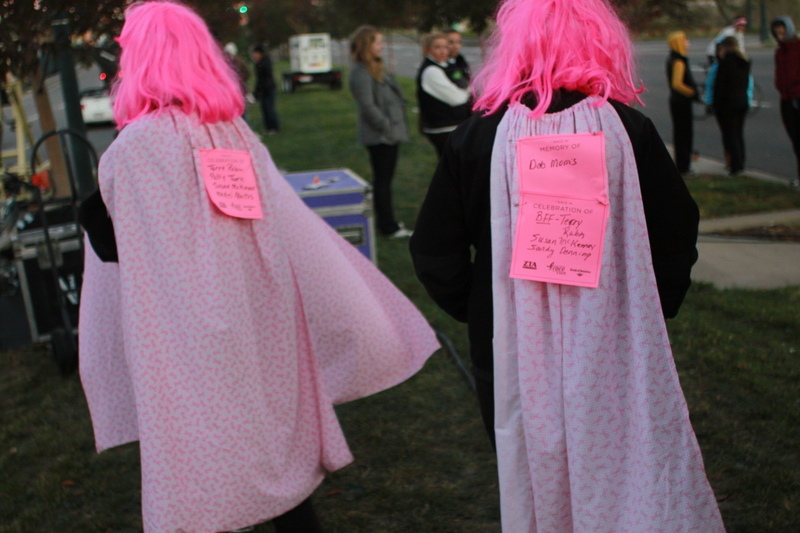 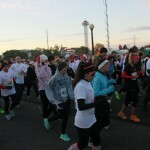 The Susan G. Komen Race for the Cure was woven into the fabric of on-air and on-line promotion leading up to the Race. 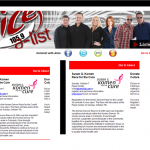 morning show promoted registering to join them to Sleep In. 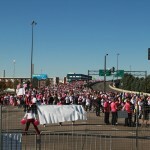 they know fighting breast cancer. 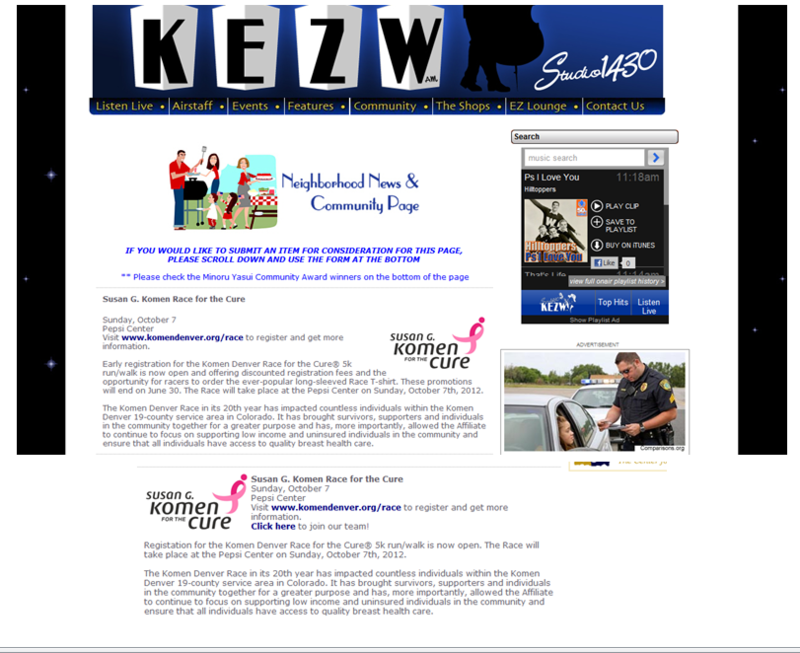 third party station sponsors. 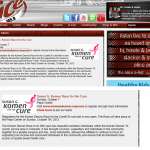 Recorded announcements ran Monday – Sunday 6am – Midnight. 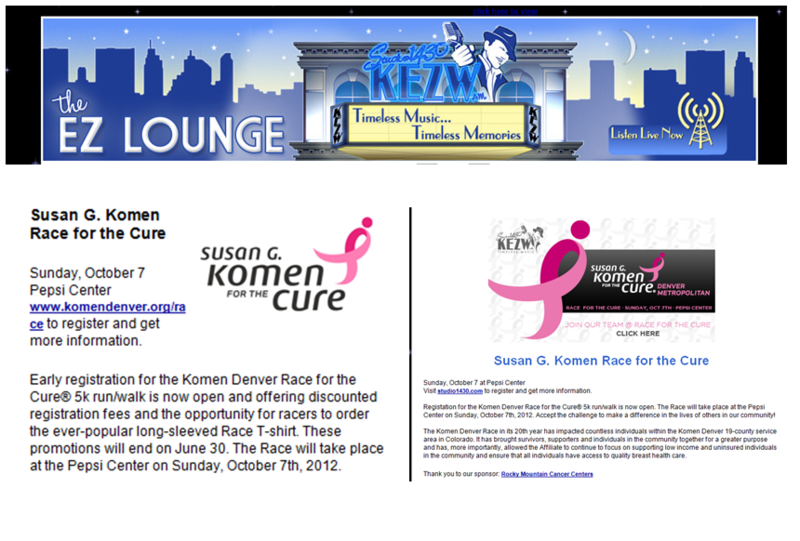 for more details and do not include sponsor inclusion. 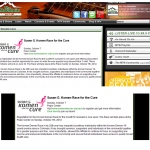 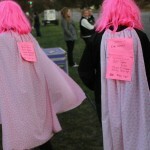 and the Race for the Cure and other events. 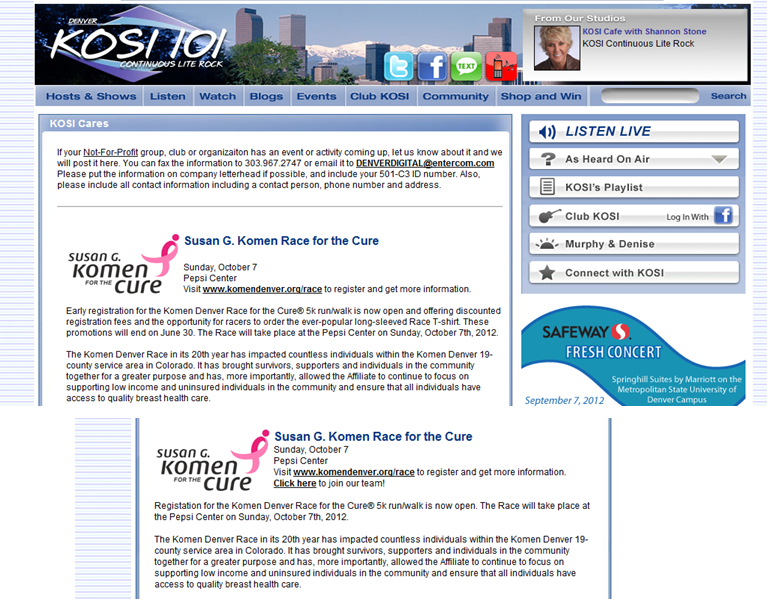 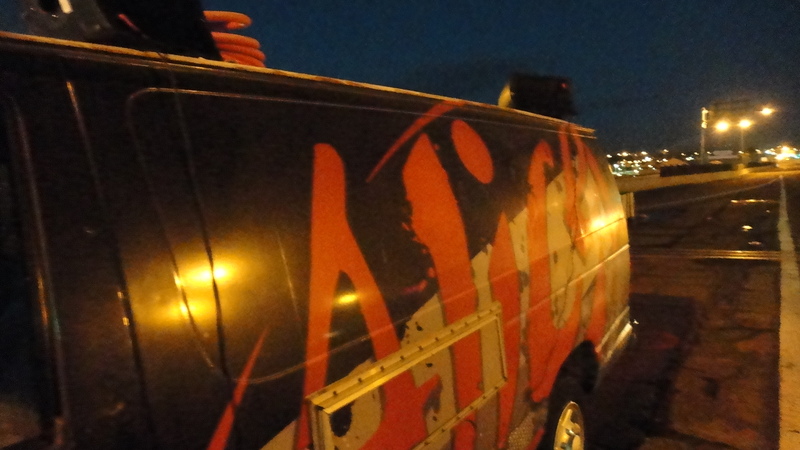 Entercom Denver’s Public Affairs Show airing on all 4 brands on Saturday/Sunday. 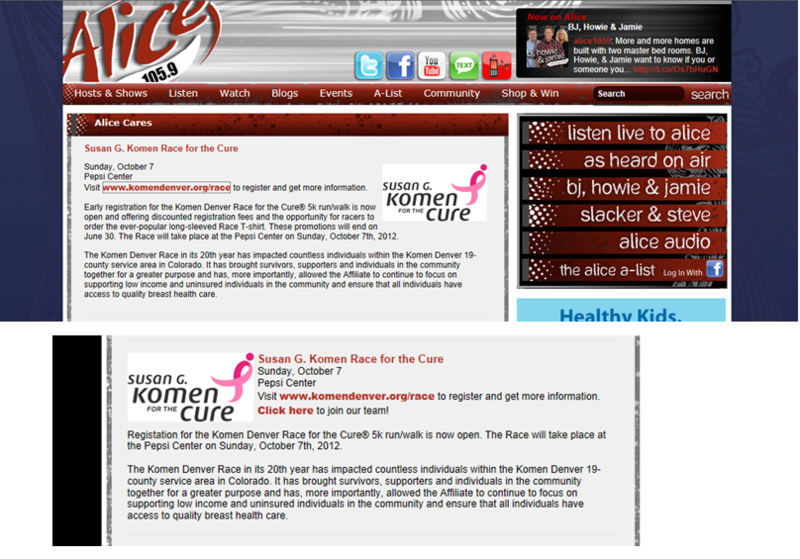 Susan G. Komen Race for the Cure was interviewed in early June for registration and another in September for continued registration and Sleep In for the Cure. 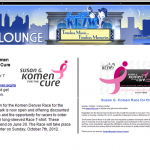 Event information with a logo and a link on the the station cares or community page.